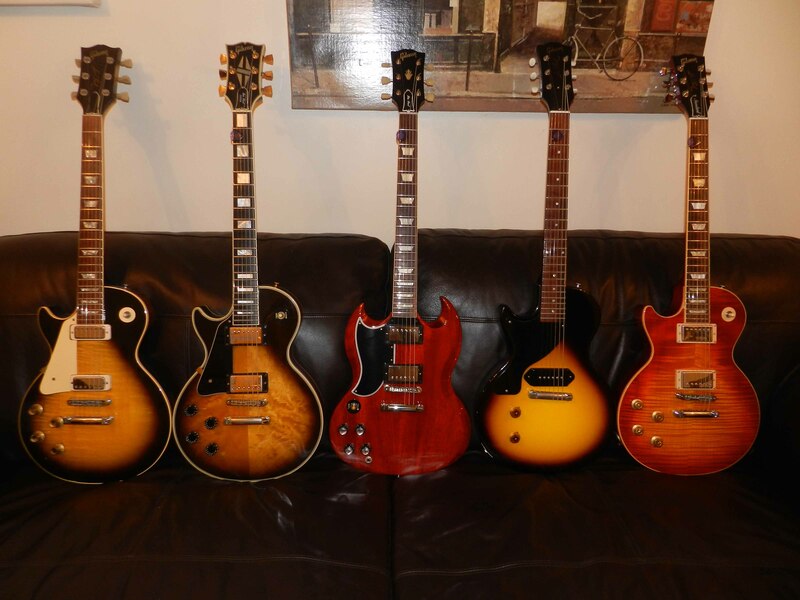 Do You Consider Yourself A Gibson Guy? Discussion in 'Other Guitars' started by NMA, Mar 17, 2019. If I could make the others feel and sound like a Gibson I'd choose them, too. Yes, I agree. I have had Dean guitars I liked very much, but could not get the "Gibson" experience from them. I have a Strat I like very much and use frequently, but I am always conscious of the Strat's separateness from my hands. I play two notes on one of my Gibsons and I forget about the guitar and just make music. Col Mustard and Gahr like this. hundreds of dollars playing that bass. Steve D and Biddlin like this. Yes, but it does work for some. Eddie Van Halen's "brown sound." What would AC/DC be if Angus started played Rickenbackers? What would The Ramones sound like if Johnny went on a quest for different tones? I understand what you say, but some guys have become insanely successful just utilizing the one tone they found and loved. Count how many Fenders there are and how many Gibsons there are. Safe to say I'm a Gibson guy, mainly because of the scale I think. My Jackson Dinky (now sold) was my first guitar electric, and it had a 24.75 scale. Then, my Wildkat has a 24.75 scale. I have no trouble playing Fenders, but the Gibsons just feel like home to me. I can get most of the sounds I want out of a guitar by fiddling with the knobs, be it a Fender, Rickenbacker, Gibson, et cetera. Sure, certain guitars lend themselves to sound a certain way, but I don't really have a problem with getting what sound I want out of my guitars. Hell yeah. Nothing beats a Gibson. I also have a Jackson pro King v and a Ibanez rg570 from 1990. But it's just not the same. Funny, I've had my Tele (8502 American Ash, two-tone sunburst, maple neck) for about 10 years. It was my first decent guitar, bought with money from selling a few re-recorded backing tracks. Got a crazy price on it. Been through it all together, will be with me till the end. But I've never really felt like a Fender guy. Now, when i get the SG out and smell that candy-floss, look at the headstock, feel the neck...I feel like i'm part of a club. Such a strong brand reaction. I'm a Gibson guy, SG and 2 LPs get the most play. Other guitars I have I'll get rid of sooner or later. I recently got rid of all my excess amps, I decided I'm a Marshall guy, just have the Marshall 2204 now, goes together like peanut butter and jelly with Gibson. I am, until I pick up my Tele. NMA and Joncaster like this.